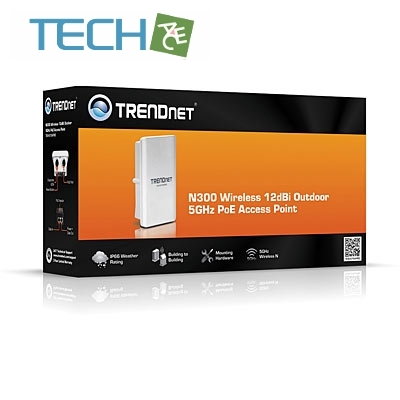 The N300 Wireless 12dBi Outdoor 5GHz PoE Access Point, model TEW-676APBO, provides high speed point-to-point building connectivity. It supports a variety of installation scenarios with Access Point, Router Access Point, Wireless Distribution System (WDS), Customer Premises Equipment (CPE), and Repeater modes.An IP-66/67 weather rating and rugged aluminum housing ensures the highest level of protection against extreme weather. 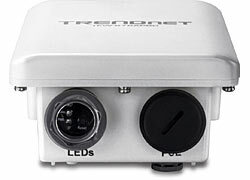 An outdoor mounting kit is included and weatherproof LED indicators expedite product installation and troubleshooting.No need to install this access point near a power source—PoE technology transmits both power and data over an Ethernet cable. Support for the latest wireless security protocols ensures the highest level of network protection. 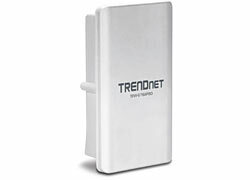 Install this access point with TRENDnet’s Outdoor Lightning Arrestor Kit, model TEW-ASAL1, to protect your entire network from catastrophic lightning strikes.